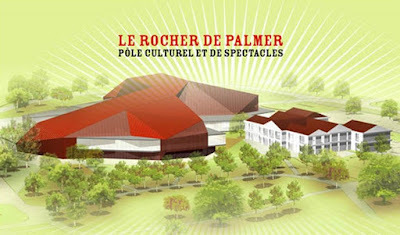 During the International week, le Rocher de Palmer (http://lerocherdepalmer.fr/ ) scheduled soul musician Curtis Harding. 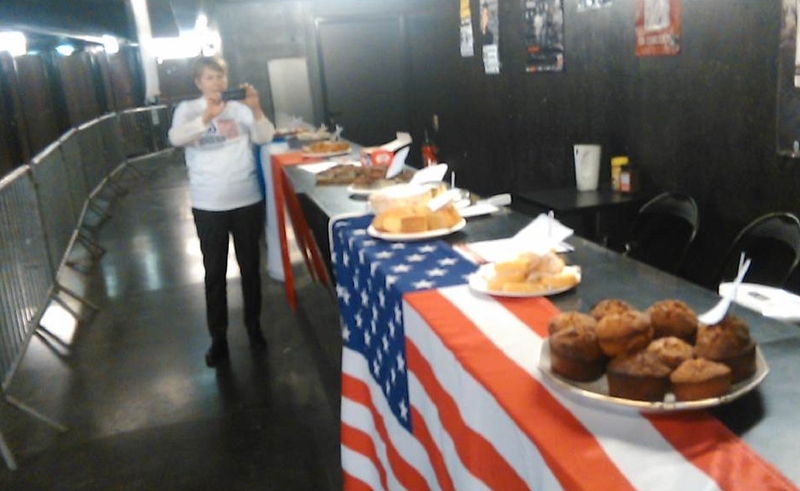 For the occasion BDX-USA sold American cakes to raise funds for the association and reach new people. Thanks to Andrée, Armand, Kathryn and Kevin for giving time and energy to man the stand and to Elizabeth for her delicious cakes. Our vice-president Kathryn surrounding by the mayor and the lady in charge of the cultural affairs in Cenon. Both are the people who developed the idea to honor the towns with which Cenon is twinned by giving concerts. Andrée, a long-time volunteer helped to set up the stand (flags, banner and display of cakes).